Can a drone help you to find a free parking spot more easily? 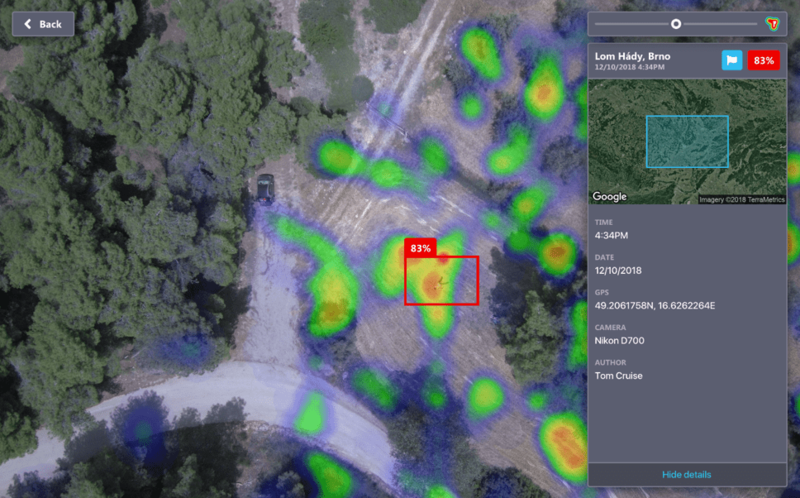 Yes, with DataFromSky Aerial AI! For many cities all around the world, parking is a major source of revenue but also a primary cause of traffic congestion and sometimes a true nightmare for drivers. In the last few years, many smart parking solutions have been conceived and some of them implemented, such as embedded sensors in the ground that relay to a smartphone when a parking space is available. But instead of tearing up the asphalt to build in these costly sensors, what if cities used drones to monitor parking availability? Moreover, there is a huge future potential for self-parking autonomous vehicles, that lots of car companies are developing nowadays. On the infrastructure side, there still needs to be information made available to the cars so they know where to park. DataFromSky can easily help with that – detect a free parking spot and easily navigate the autonomous car to that place. For fixed long-term monitoring of the occupancy of a parking lot in real-time, we at RCE have developed Parking Detection – Technology for Smart Cities. 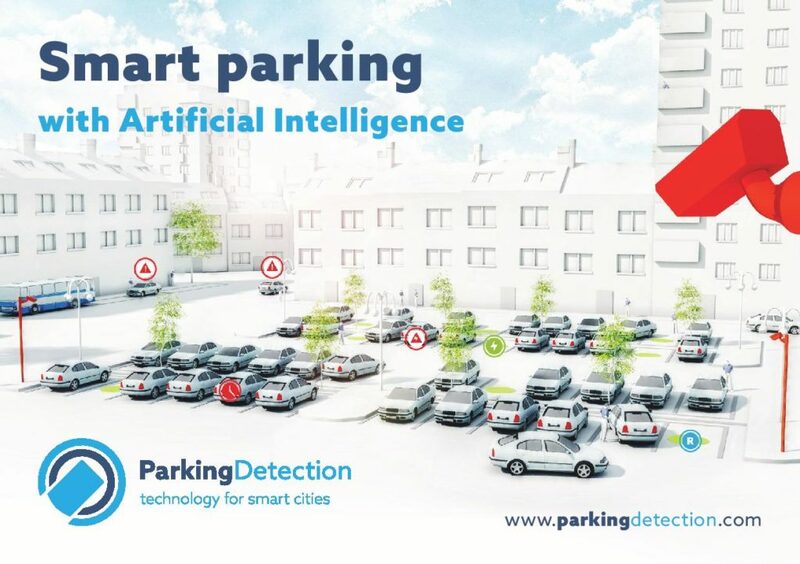 ParkingDetection is a new and unique smart parking system using AI, that overcomes the limitations of traditional methods of parking management such as inground sensors or overhead sensors. No need for costly pavement work or ground installations! Under the ideal conditions, one smart camera can monitor up to 400 parking spaces at once! What can Parking Detection offer? Follow ParkingDetection on our social media and keep up with us: Facebook, LinkedIn or Twitter! The whole team of DataFromSky is proud to announce new exclusive partnerships in South and North America! We have gained new strategic partners to start a thriving cooperation with. 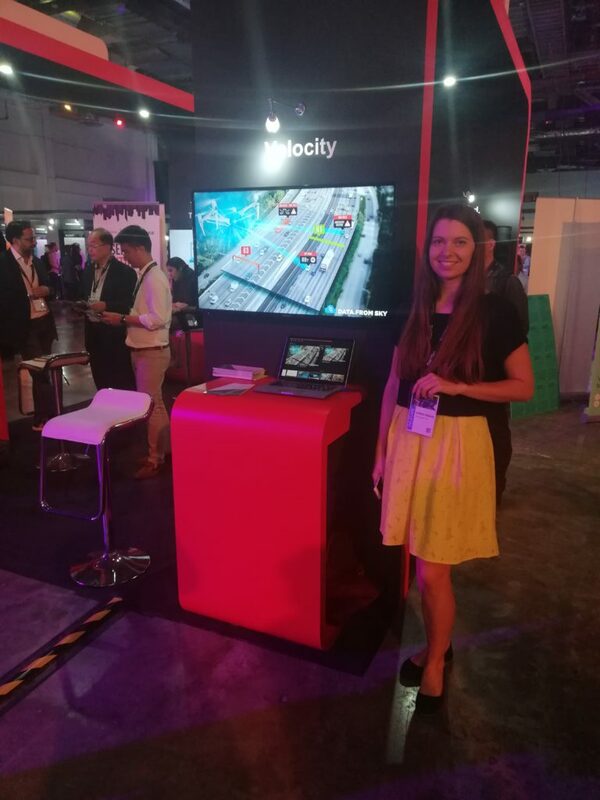 TADI-US will represent DataFromSky in U.S. states Minnesota and Wisconsin, Cinco de Colombia is operating in the Colombian market. Welcome on board! TADI-US – Traffic Analysis & Design, Inc., is the premier traffic engineering firm in the region. To their service portfolio belong traffic engineering, traffic impact analysis, corridor studies or signal design and control. They are also active in the field of traffic safety. Contact TADI on info@tadi-us.com. Cinco. is a research and consulting company that develops and implements state-of-the-art technology for the execution of its projects in many fields. Their goal is to permanently search for new engineering advances that guarantee the highest possible precision within optimal processes. The contact person for Cinco. is Mr. Javier Visbal Martínez Ing. Mag., who can be contacted on javier@cinco.consulting. 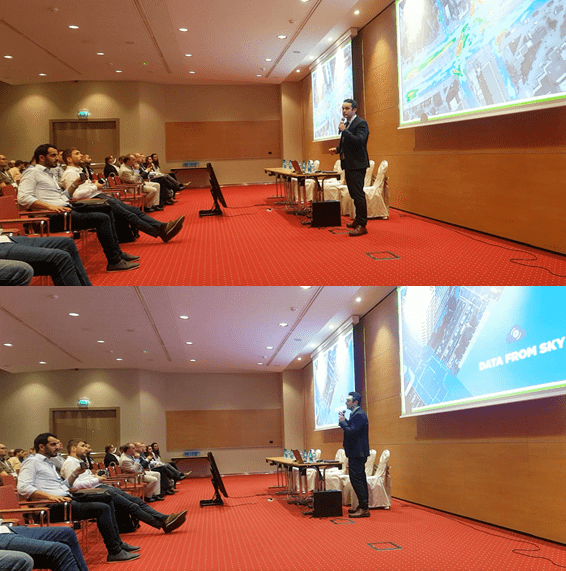 We are proud to announce that we have connected DataFromSky with a simulation model VISSIM! 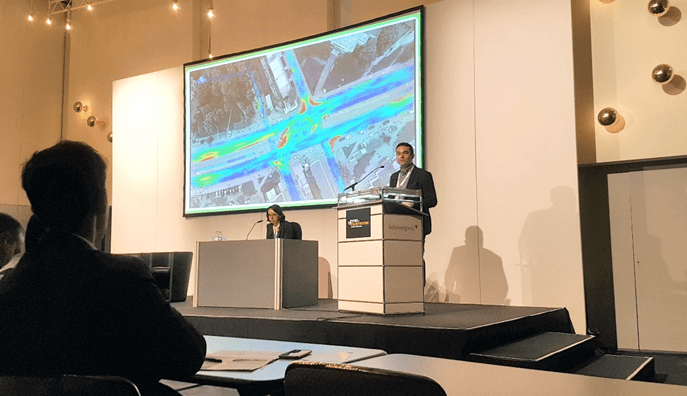 PTV Vissim is a microscopic multi-modal traffic flow simulation software package developed by PTV Group, first developed in 1992 and nowadays, Vissim is a global market leader in microscopic simulation models! 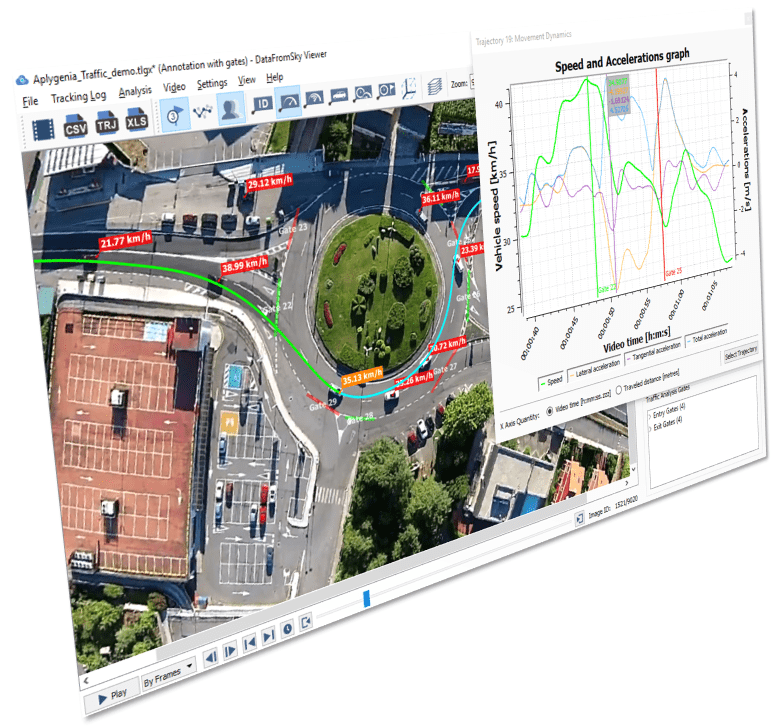 The simulation displays all road users and their interactions in one model. 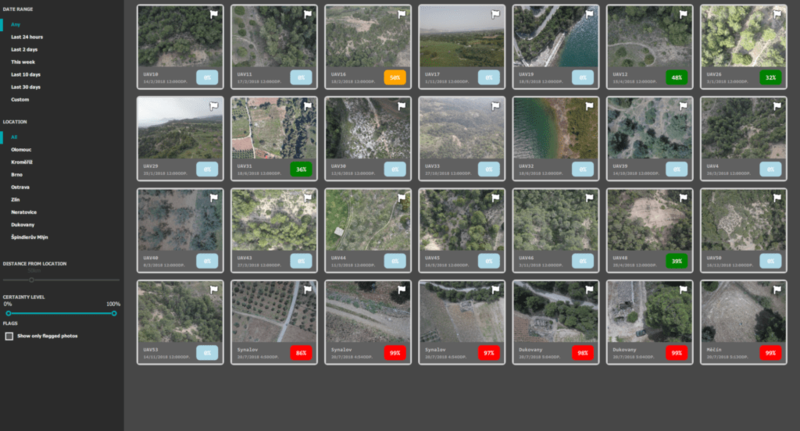 We have created a promo video demonstrating how to export the results from DataFromSky and use it as an input in Vissim. This possibility opens so many opportunities how to utilize the real data from DataFromSky analysis and how to increase the accuracy of your simulation model! What kind of data can be exported and what are the plans for further interconnection? – headways between two vehicles following each other (gap in seconds) – advanced gap analysis and headways data provided only by DataFromSky! The video plays also the role of the very first User manual video of DataFromSky Viewer – it describes the process of creating counting gates in order to export the Origin-destination data and import them into Vissim. Other short instructional videos will follow soon!